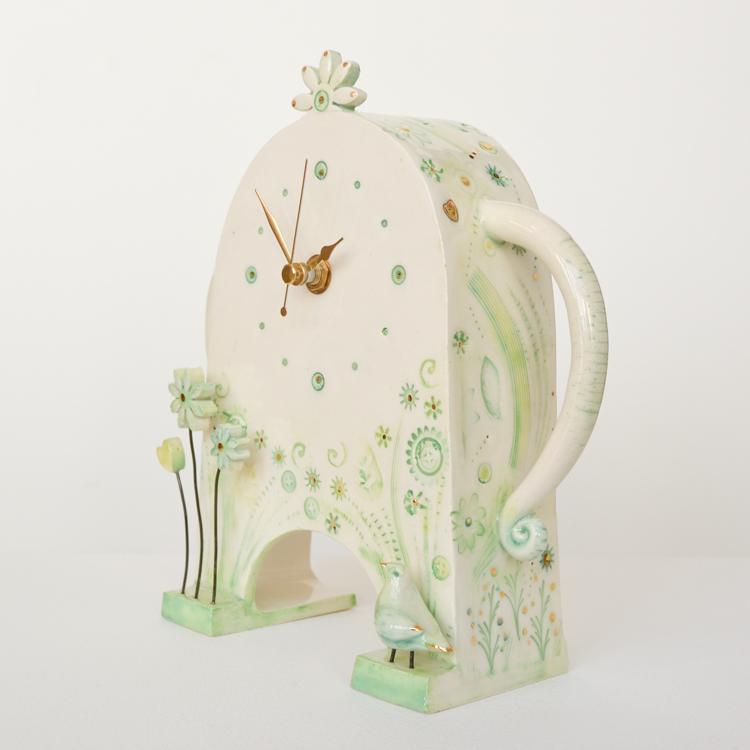 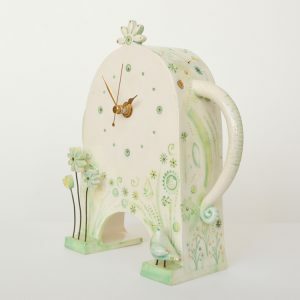 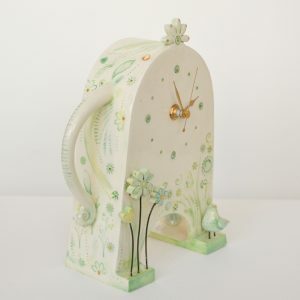 Stroppy Clock with cream and green glazing, a small bird, a heart and flower features and lustre glazing details. 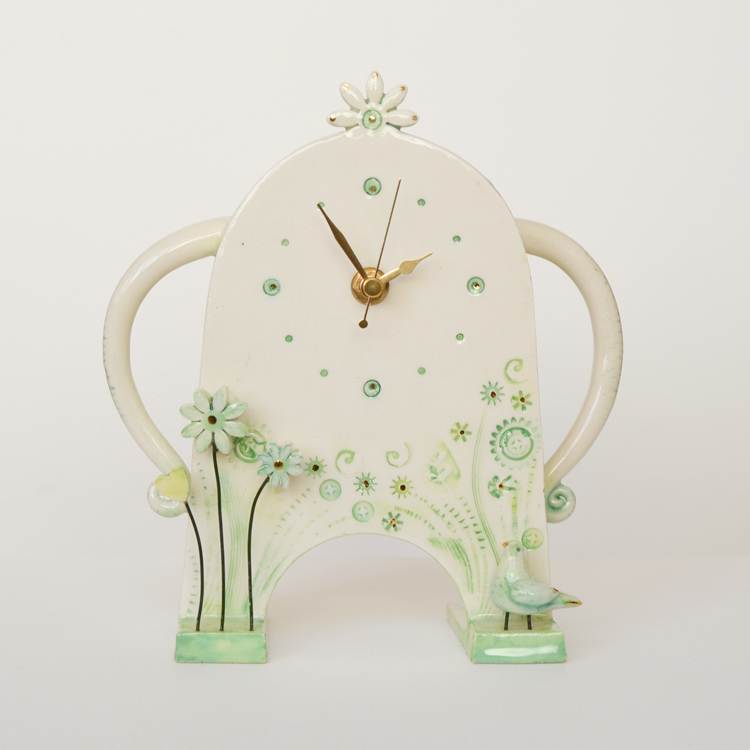 A cheerful clock, ideal for the mantlepiece. 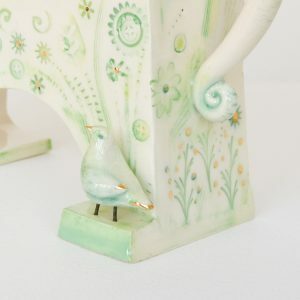 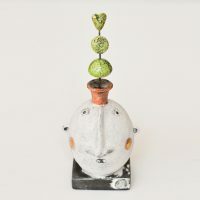 Material: ceramic with white/cream glazing, green decoration, added flowers, a bird and lustre glazing details. 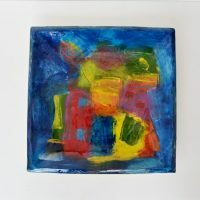 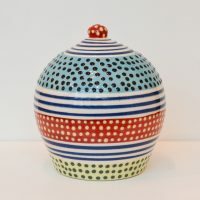 Approx Measurements: height 21 cm, total width 19 cm, depth 8 cm. 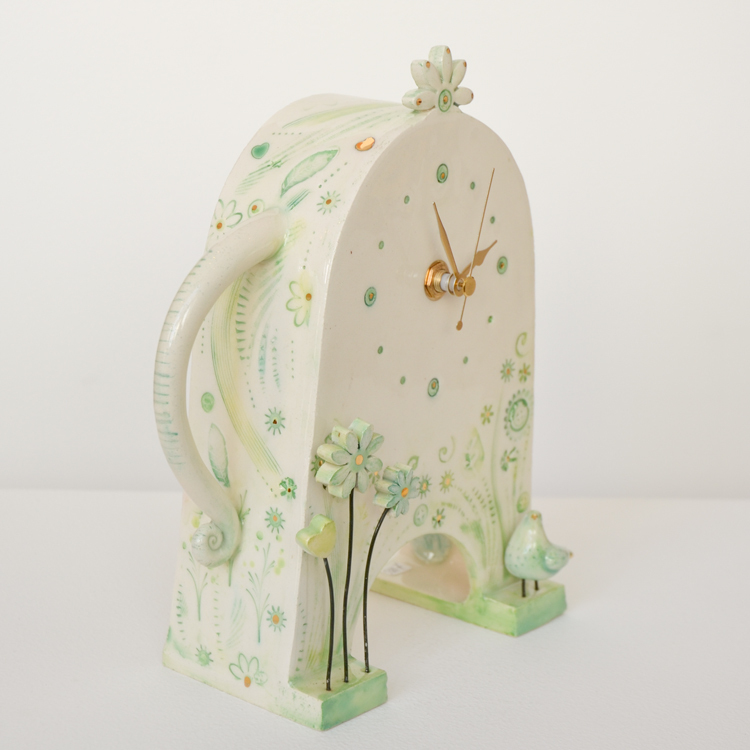 Standard battery (AA) operated clockwork.